And remember—if you don’t have a long period of time to devote to studying on a particular day, that doesn’t mean you should skip the day entirely. Take advantage of 15 minutes here and there (on the bus, waiting for an appointment, etc.) to review concepts, resources, and lesson videos. 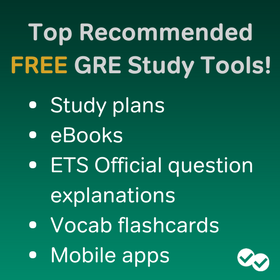 You can even use the GRE Prep App to access Magoosh prep and blog resources on your phone. That way, you’re putting all your time to good use. Thank you so much for your blog post Kevin! I’ve fallen off the study wagon once already. I started studying a month ago and found myself slowly drifting off course, and now I’m stuck. I still have 2 months to study, so I feel like I have time to get back on track, I just don’t know where to start. I have quite a bit of material to work with and find it all to be overwhelming, and I’ve taken a practice test to assess my strengths and weaknesses (148 Quant and 141 Verbal… not too good). Any tips for me? 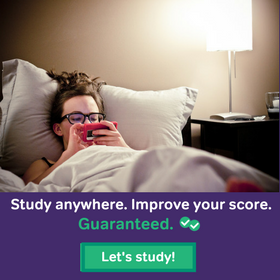 I definitely would recommend a study plan to start with. You need to organize your days so that you use the wisely. 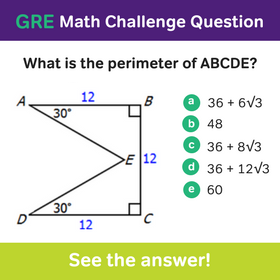 🙂 Here is the link to our GRE Study plans. If you are feeling overwhelmed, I would recommend the one month plan for your two months of study. That way you can definitely complete the plan and supplement with other material. As for verbal, take some time to read this blog article. It will talk in more detail about what you can do to improve your verbal score. Ultimately, you’ll need to start reading high-quality materials every day until the test—on top of practicing questions. Thank you so much Kevin! You have no idea how desperately I needed this very blog post. Hi Kate! I’m glad that you found the article useful! Sounds like it came just at the right time! 🙂 Good luck re-starting your studies! Thank you so much Kevin!! I was freaking out here because I missed one week of my study plan and I didn’t know what to do. Thank you so much. Your blog post came like a godsend.